The beautiful ancient Greek city of Aphrodisias, still partly excavated, is one of the most important archaeological sites of the late Hellenistic and Roman period in Turkey. The city was located in Caria in Asia Minor, on a plateau 600 meters above sea level. 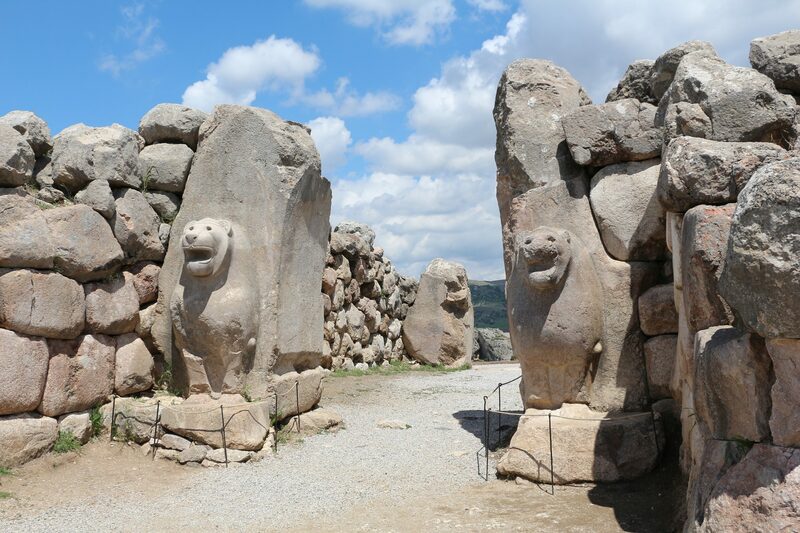 Today it lies near Geyre village, some 80 kilometers west of Denizli. The city was founded in the 2nd century BC on the site of a rural sanctuary of Aphrodite, the Greek goddess of love. It was named after Aphrodite who had her unique cult image, the Aphrodite of Aphrodisias, and who became the city’s patron goddess. Just a short walk from the Pantheon in Rome, in Piazza di Pietra, are the majestic remains of the Temple of the deified Hadrian (Hadrianeum) built by Antoninus Pius, Hadrian’s adopted son and successor. Of the original temple, only eleven columns with capitals and the cella wall are still visible today. In 1696, during the pontificate of Pope Innocent XII, the surviving part of the temple was incorporated into a large building designed by Carlo Fontana to house the central Customs Office. In 1879-82 the building was modified and its baroque decoration was replaced by a simpler one; in 1928 the wall of the cella was freed from later additions. Today the building houses the Borsa Valori di Roma, Rome’s stock exchange.